How great is it to wake up to this view of the American Flyer lift! New couch that's a sleeper with an extra thick mattress, and a large day-bed. Here's your perfect spot for reading or napping while warm and cozy inside. There's room for five at the dining table and more seating in the living room. You'll really have this view of the American Flyer ski lift and slopes! 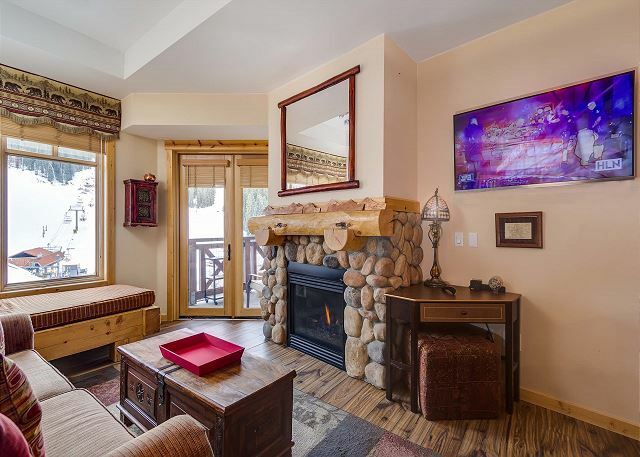 All the comforts of home including a large smart TV, gas fireplace and kitchen. You won't have to fight to watch your favorite show - this condo has 2 TVs. Relax and take in the view from the balcony at the end of a great mountain day. Looking from the balcony, you'll see the American Flyer lift and half pipe. Updated decor throughout this home away from home. You'll find all the dishes, glassware and cook ware you'll need to make a feast. Prepare your favorites in the fully equipped kitchen with full size appliances. 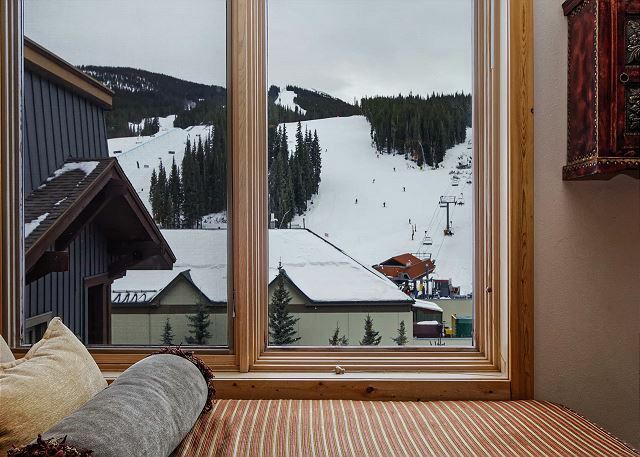 Can you imagine waking up to this ski slope view!? You'll have it in this condo! Sleep tight in the new king bed. And there's lots of storage and flatscreen TV. 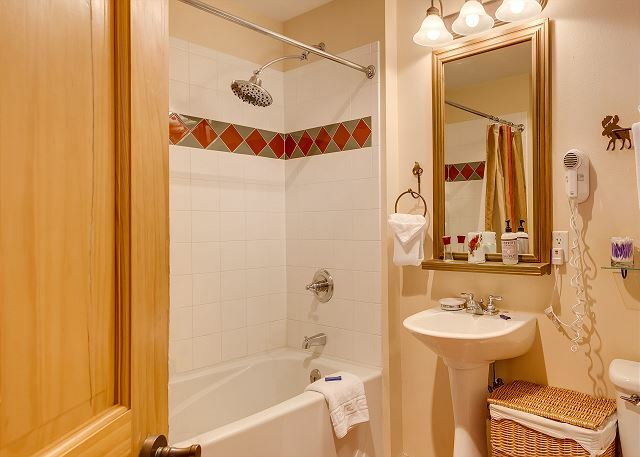 This full bathroom is spacious with a handy chest of drawers (behind door). 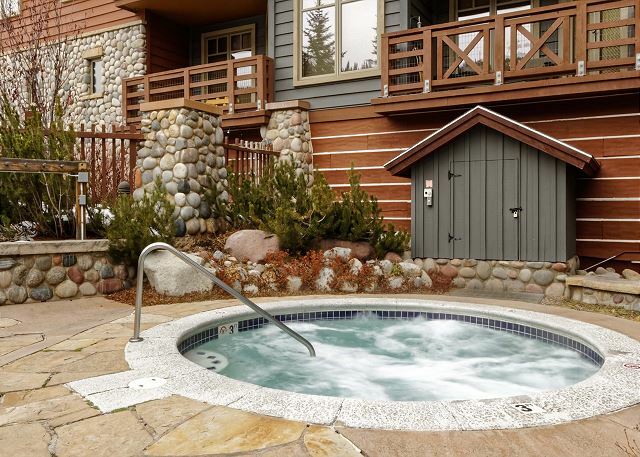 Feel free to soak in the hot tub after a great day on the slopes!! With your own ski locker, it's so convenient to grab your gear & go! 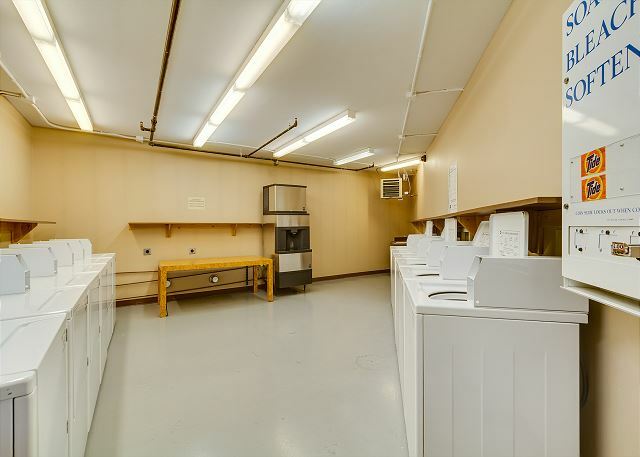 You can pack light and take advantage of the laundry room just down the hall. 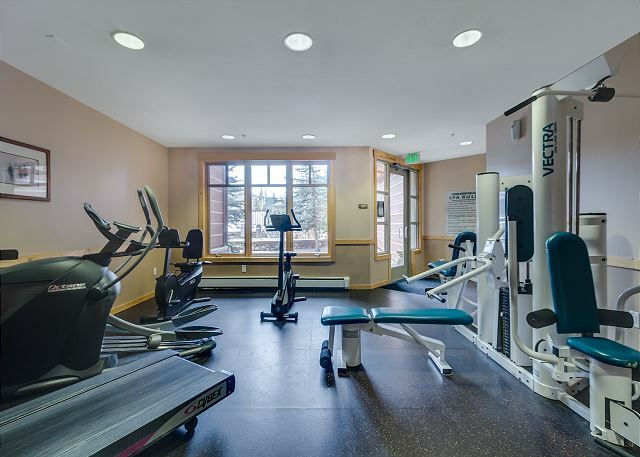 You'll love the convenience of the fitness room to warm up or cool down. 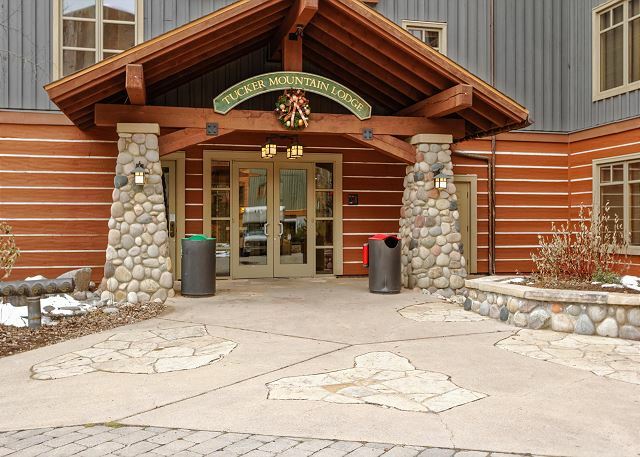 The secured front entrance of Tucker Mountain Lodge faces the main village. Driving up to Tucker Mountain Lodge, the parking entrance is on the left. No scraping your windshield here! Enjoy the underground heated parking garage. 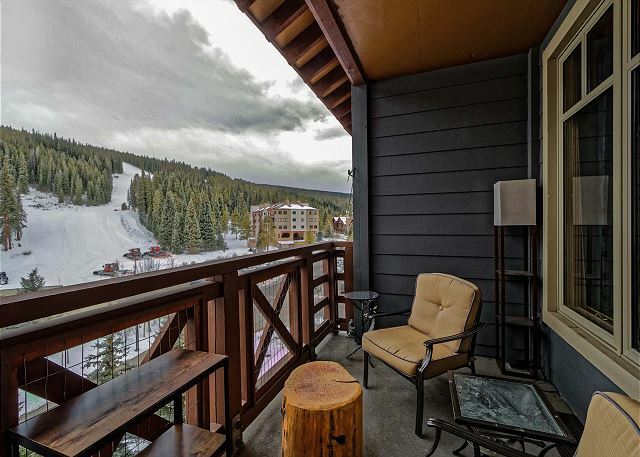 This condo has one of the BEST views at Copper Mountain! 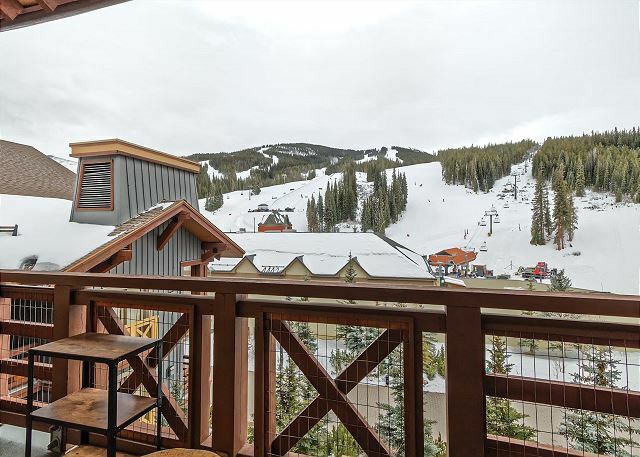 This Tucker Mountain Condo is located in Copper Mountain's new pedestrian Center Village, less than 50 steps from the American Flyer and American Eagle ski lifts. 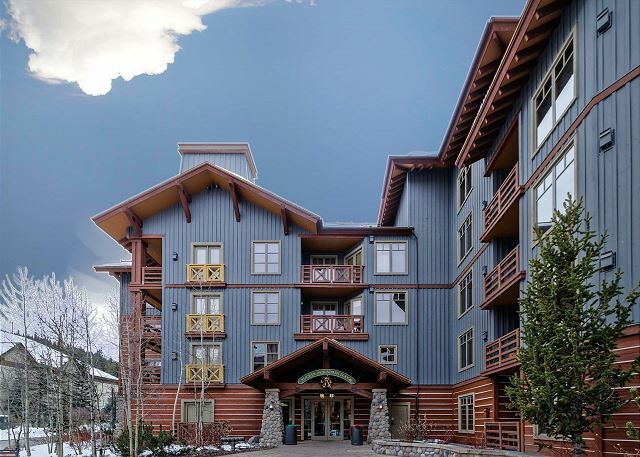 It is on the 5th floor facing the ski mountain and provides the best of both worlds; it is in the middle of all the action, yet is quiet because it is on the fifth floor. From the balcony, look right down at the American Flyer lift and the halfpipe - it's so entertaining to watch the skiers and snowboarders come down the mountain! 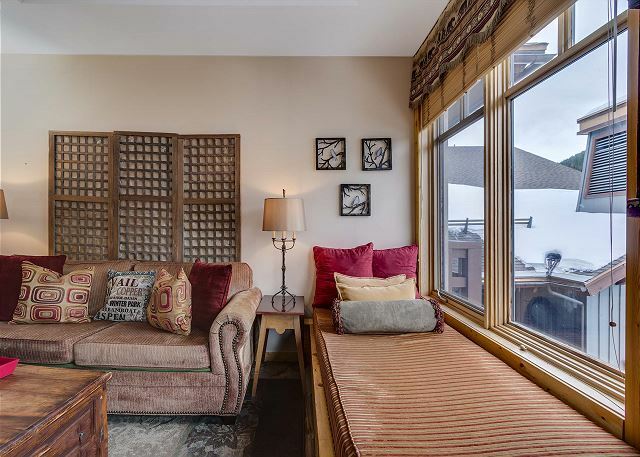 This condo comfortably sleeps 5 people. Two in the new king bed in the bedroom, two in the queen sofa bed and one in the daybed by the living room window. And, this isn't your ordinary sofa-bed. It's commercial grade with a thick mattress, so it's really comfy! Prepare your favorite meals in the fully equipped kitchen with new stainless steel appliances. We provide dishes, glassware, utensils, cooking and bakeware........everything but the food. There is a fridge, stove/oven, microwave, dishwasher, coffee maker & filters, blender and toaster. 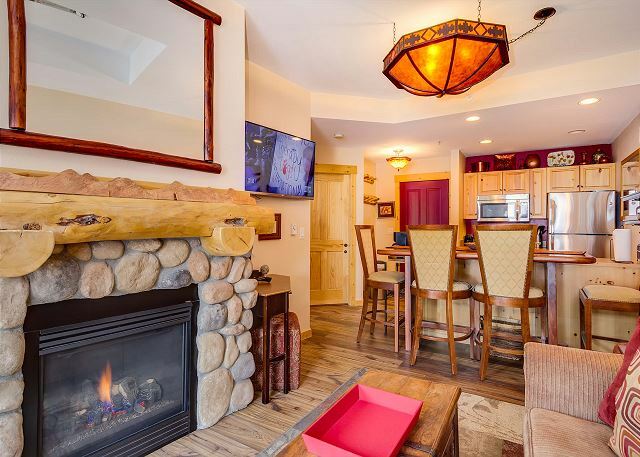 This condo is super-convenient because you're here in just minutes for lunch, and then relax by the fireplace. Return to the slopes, super-charged and ready for a great afternoon on the mountain. Cooking meals in the condo saves lots of money and is faster than waiting in line in the resort cafes and restaurants. For entertainment in the condo, you'll enjoy a new 47" flatscreen Smart TV and there is also a 32" flatscreen in the bedroom. There is HD cable and an iDock. 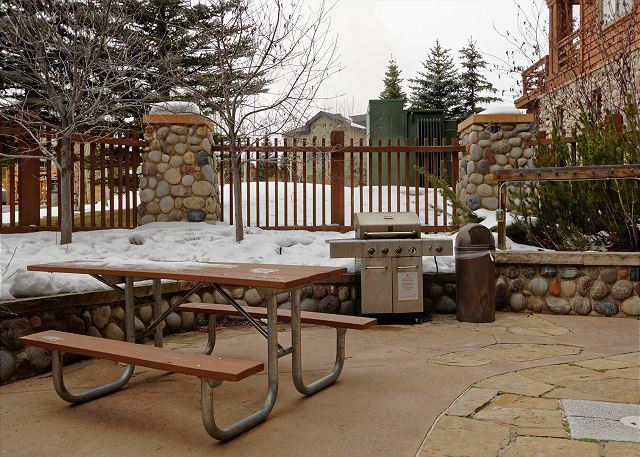 Tucker Mountain Lodge is a new, clean and modern building with many amenities. Our guests have convenient access to free underground heated one-car parking. You'll never have to search for a parking spot or walk in the cold to and from your car. 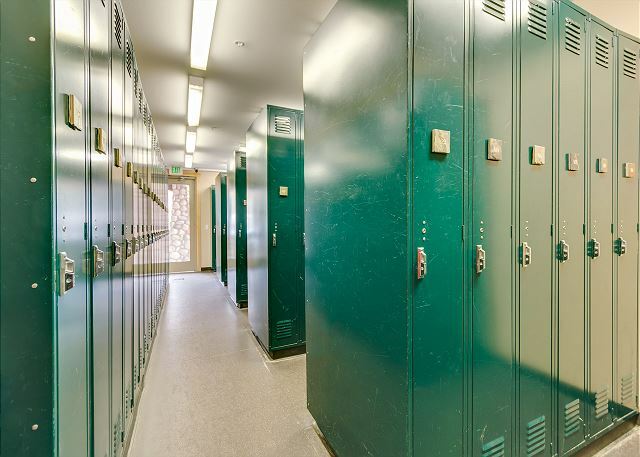 Take your lunch break at your condo and after a great day on the slopes, ski to the walkway in front of the building, take off your skis and store them in your own secure ski locker located on the ground floor. If you stay during a snow-free month, there are hiking trails and the bike path right outside your door. 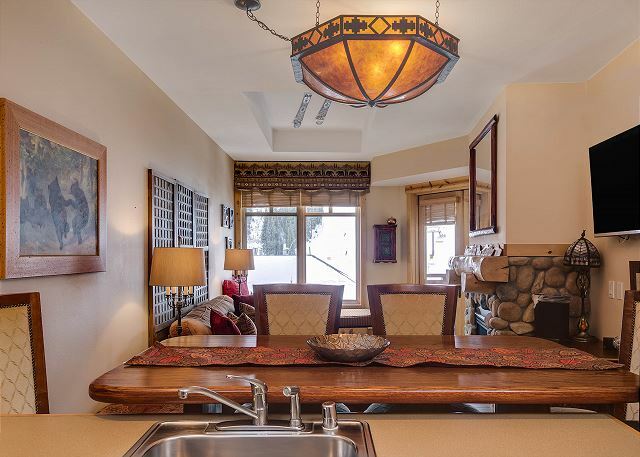 Return from your exhilarating day in the mountains and take the elevator right up to your condominium, where you can relax in front of the fireplace, or sip a warm drink and watch skiers and snowboarders from your balcony. Or simply enjoy the majesty of the mountain. If your muscles are sore, go downstairs to soak in the outdoor hot tub. Or, if you want more exercise, work out in the fitness room on the first floor which includes a weight machine, two exercise bikes, a treadmill, an elliptical trainer and a sauna. 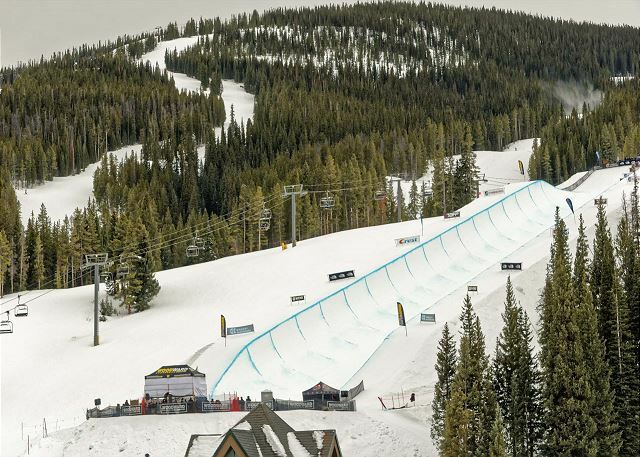 Tucker Mountain Lodge is located less than a block from the Summit Stage bus stop - Summit County's amazing free shuttle bus that will take you to and from Frisco, Dillon, Silverthorne, Keystone, and Breckenridge - FREE!! We had a great trip. Stayed 5 nights and it snowed the entire time. The walk to the lift was a little further than expected but not bad at all. I would recommend Copper and Tucker Mountain Lodge, absolutely. We booked this place the day of for a last minute vacation. Leigh at Copper Condo's was super helpful. She answered every message within minutes!!!! The condo was 50 ft to the lift and incredible views. It was clean and super convenient. The guys at the front desk we funny, professional and got us everything we needed from day 1. For parking, location & price, you can not beat this place. We would stay here again in a heartbeat. Bought our tickets from the front desk which included the fast pass. $40 of normal rate! Great stay - wonderful sunny balcony! we enjoyed our stay...great location! 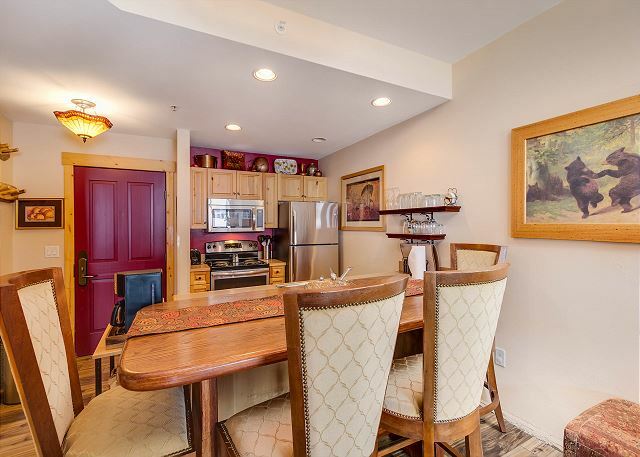 This cute unit is right in the heart of Center Village and the porch looks directly at the slopes. It was the perfect location for walking to the slopes and also to the restaurants and shops. It was very easy to use the underground parking and the ski locker. When we needed a repair the management came right away. This condo is very convenient and cozy. It is just steps away from two lifts. It has a very good view of the mountain including the high pipe. You are staying in the town with access to everything you need. We had a family of five stay and managed perfectly fine. I would stay here again because it was clean and comfortable with the best location possible for a ski trip. We rented the condo for our family while we were riding in the Courage Classic Tour. We wanted a spot close to center village and within walking distance of all the activities of the tour. This was the perfect location. We really enjoyed our stay. The condo was very clean, comfortable, and nice.